As a child attending school, I recall an unspoken assumption that we were all born with a fixed IQ, and quite simply, smart parents had smart children. Doctors, astronauts, and scientists were simply born smart. We now know that intelligence is not fixed and promote the belief that with learning, effort, practice and training, a person can grow their abilities. Staff at Ambrose Treacy are committed to growing each student’s ability and raising student achievement. We believe it our duty to be aware on what works best to improve learning in our classrooms so that we can be effective teachers. John Hattie (2009) undertook an extensive meta-analysis of educational research in order to measure the impact of educational initiatives on student achievement. He surmised that an average year of schooling is attributed to an effect size on achievement of 0.40. If a teacher was to communicate learning intentions and success criteria for those intentions in their teaching, then the effect size on student achievement is attributed to 0.75, almost double the average effect size. The highest impact on raising student achievement is ‘collective teacher efficacy’, with an effect size of 1.57, almost four times the average effect size. Consequently, the collective staff at Ambrose Treacy are challenged to use Learning Intentions and Success Criteria in their teaching. John Hattie explains the importance of shifting the classroom focus away from what students will do, to what they will learn. A learning intention is not what the students will do in the lesson, which was oft the focus in teaching of yesteryear, it is what they are learning. Simply, a learning intention is a description of what students should know, understand and be able to do by the end of a lesson or series of lessons. The success criteria describe what student achievement of the learning intention looks like. They can be used as a measure to inform if and how well learners have met the learning intention. There are benefits for both students and teachers. Together, the use of learning intentions and success criteria create clarity in the classroom; students understand what they are going to learn and understand what improved performance looks like. Teachers use them to seek feedback on whether the chosen teaching and learning activities are successful, or whether they need to be adapted and/or changed. The use of Learning Intentions and Success Criteria allow teachers to monitor the impact of their teaching and allow for teacher clarity. Parental involvement also has a positive correlation with raising student achievement and we encourage ATC parents to support their son’s learning by accessing the Learning Intentions and Success Criteria via SEQTA. 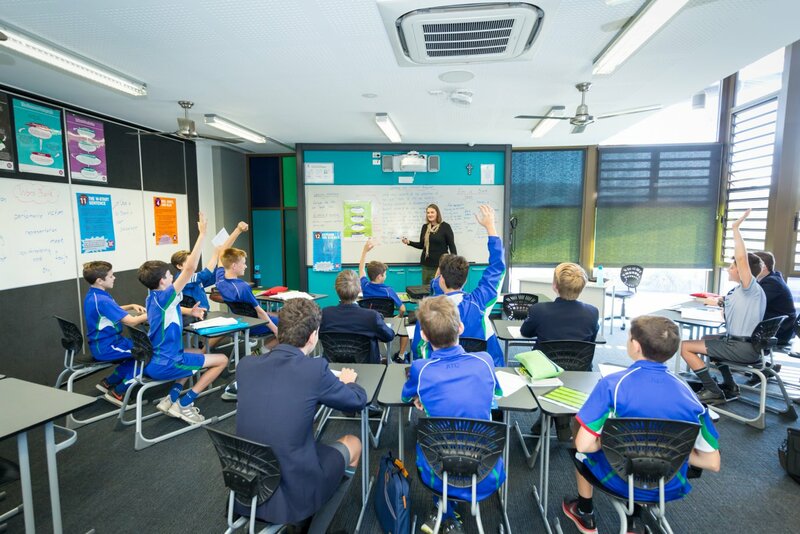 With the collective staff use of Learning Intentions and Success Criteria in teaching, and the support of parental involvement, ATC has an evidence informed strategy that will best grow our boys’ abilities.